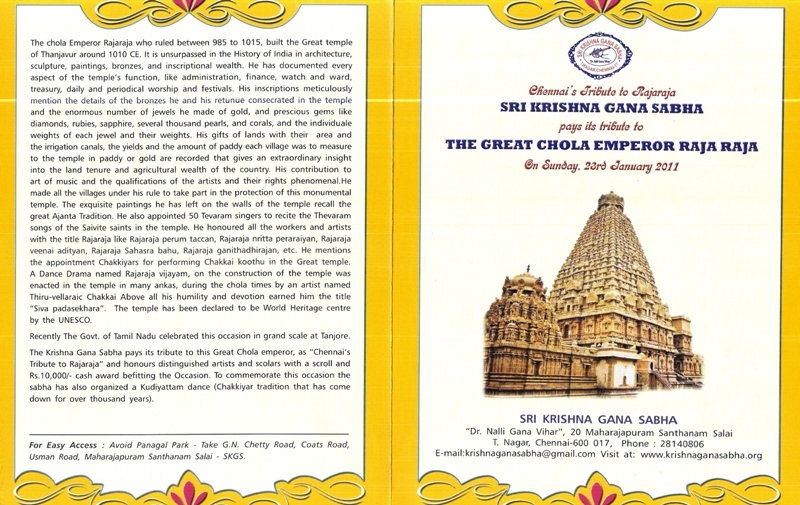 Krishna Gnana Sabha organized a one day program on Chennai’s Tribute to Raja Raja Chola on Millennium Year of the Big Temple on 23rd Jan 2011. 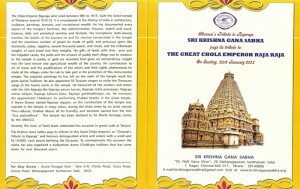 Please find the attached invitation which details the events. There will be a traditional bronze casting demonstration at the premises as well.